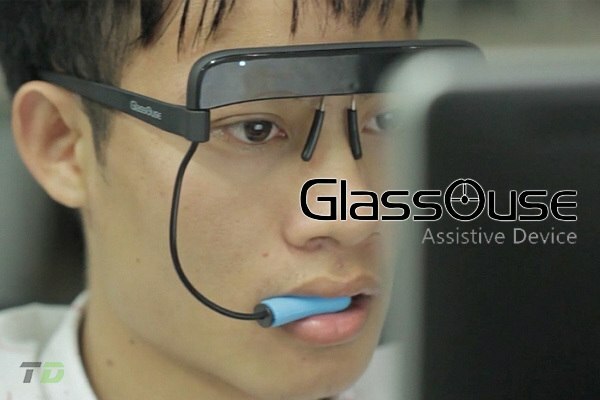 Designed for daily use, GlassOuse is a special mouse worn like a pair of glasses that connects to mobile phones, computers, tablets and Smart TVs via Bluetooth, revolutionising technology use for those with restricted mobility. The first example of its kind, the device tracks even the slightest head movements to move the cursor accordingly, while the durable 'bite-click' button performs the clicking action. GlassOuse is an assistive device designed to help people who cannot use technology due to limited abilities and give them more control of their computers, phones and smart TVs. GlassOuse is designed alternatively for those who have trouble using their gadgets with any other input devices. As a Bluetooth mouse featuring built-in motion sensor, GlassOuse controls the cursor with slight head movements and maximum accuracy while allowing the user to click by a bite or press of the lips on a blue 'bite-click' button. Worn like glasses, you simply put it on and connect your gadgets via Bluetooth. Offering an ergonomic and a lightweight design, GlassOuse also can be used with regular glasses since it fits right above the ones you wear.